United Auctions are set to welcome a record number of the Salers pedigree breed, the first official sale of Lincoln Reds, a new sole sponsor and much more when the Stirling Bull Sales kick off next month. Scotland's leading livestock auctioneers will host no less than 962 pedigree bulls and females on show and sale at the February Bull Sales. The two-week event takes place at Stirling Agricultural Centre from Sunday 4 February to Monday 5 February and continues from Sunday 18 February to Tuesday 20 February 2018 at United Auctions' headquarters, Stirling Agricultural Centre. 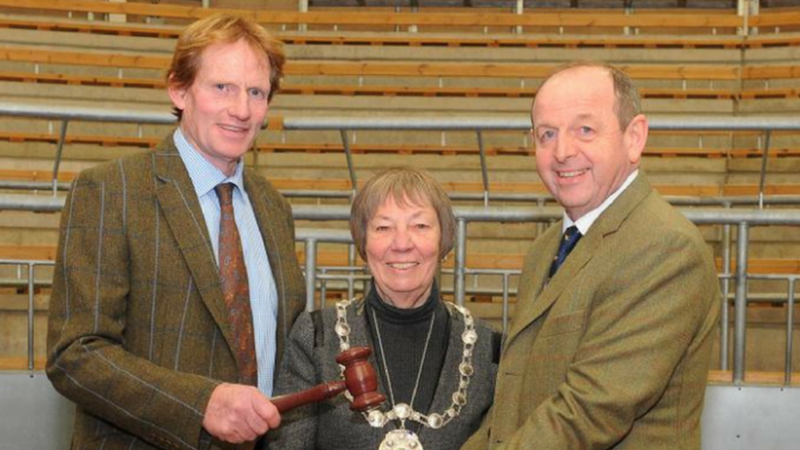 The Stirling Bull Sales are well recognised as one of the most important dates in the farming calendar. Three times a year the City enjoys an out-of-season influx of visitors with demand in hotels, bars, restaurants and conference facilities providing a welcome local economic boost. Gaining year-long support from Galbraith of this world-famous event represents a significant investment in and long-term commitment to the City of Stirling, to Scottish agriculture, and beyond. We're delighted to welcome them as sole sponsor from this year going forward. The Stirling Bull Sales showcase the best pedigrees in the country and we're delighted to support such a prestigious event. This sponsorship is testament to our commitment as rural specialists and allows us to gain greater brand exposure amongst our target audience. We very much look forward to strengthening our successful relationship with United Auctions throughout the year. The Stirling Bull Sales go from strength to strength attracting an increasing number of visitors, both local and international who contribute significantly to our City's economy. I would like to pay thanks to United Auctions, who organise and host this prestigious event and to Galbraith for their continued generous sponsorship.